I am slowly adjusting to the digital world. It’s not easy for older folks used to thinking of ‘hard copy’ and ‘soft copy’ as referring to the binding of a book. Some of us can remember a time when steam engines still powered railway locomotives and harbour ferries; when music was played back on large, fragile Frisbee-like discs rotating at 78 rpm; when a/m radios were large tasteful pieces of furniture lit up with vacuum tubes, and provided family entertainment before the advent of television! It seems that Dilek and I may have to move house as our current dwelling is in line for urban renewal (read ‘demolition’). I have been looking glumly at shelves of books, CDs and DVDs that will soon require packing into boxes, and perhaps will not find accommodation in our urbanisationally renewed, and undoubtedly smaller, replacement residence. So I decided to be proactive and start with the CD collection. In fact a lot of our music has already been uploaded to the computer, and we have been discovering the convenience of hooking up the iPad to the stereo system. Now I have begun examining those CDs with a more critical eye – the technology is 30 years old! – deciding which ones never get played and which ones may have tracks I didn’t like much anyway. Well, amongst the sounds of my youth that I had, in later years, upgraded to compact disc format, I came across the ‘Greatest Hits of Steppenwolf’. That band is, apparently, still performing, though with only one of the original members who, according to Wikipedia, will celebrate his 70th birthday next April. 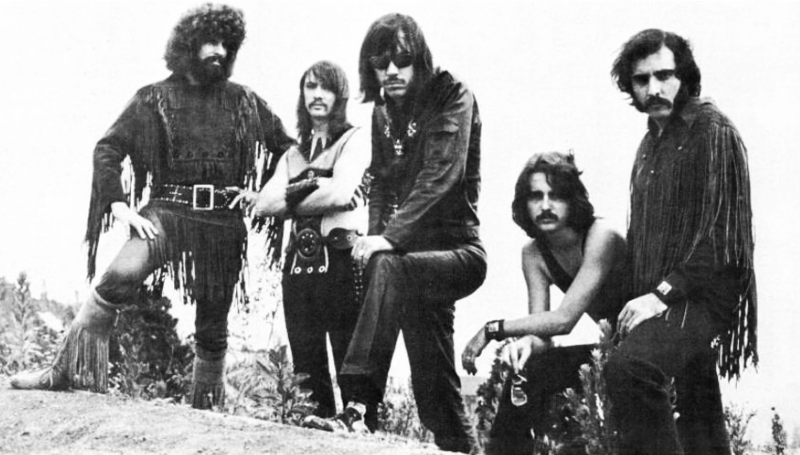 The band’s heyday was 1968-1972, and their achievements include 25 million record sales, eight gold albums and twelve Billboard Hot 100 singles. I didn’t know it at the time, but that evergreen musician John Kay was born Joachim Fritz Krauledat in what was then East Prussia – an outpost of German language and culture now part of Russia. As the Soviet military machine advanced in the final months of World War II, it became evident that Comrade Stalin was planning to swallow East Prussia and Russify it – which he did, with the result that tens of thousands of Germans were killed and more than two million obliged to seek sanctuary in the West. Young Fritz’s mother was one who fled from her homeland with her baby son, eventually settling in Canada where the lad changed his name to something more acceptably Anglo-Saxon before ending up in California in the hippy-hopeful days of the mid-60s. We may imagine that North America, especially Canada in those days, was like the Promised Land to people like the Krauledats, the still relatively untarnished Statue of Liberty holding aloft its torch of enlightenment to welcome, in the words of Emma Lazarus, ‘the tired, poor, huddled masses of Europe, yearning to breathe free’. By the time John Kay arrived in California in 1965, however, the anti-Communist excesses of the Cold War, the struggles of the Human Rights Movement and the ultimately indefensible war in Viet Nam had brought cynicism oozing through cracks in the glossy veneer of the American Dream. Eerie, huh! That was written and sung forty-five years ago. And I read in the latest edition of Time Magazine that the US carried out raids against terrorist targets in Somalia and Libya ten days ago. The article went on to elaborate that ‘the FBI and CIA, with the support of U.S. military forces, captured a long-sought al Qaeda leader, Anas al-Liby, in Tripoli. . . He had a $5 million reward on his head.’ I wonder who got that. Maybe the US Navy SEALs who apparently carried out the operation in Somalia. ‘U.S. officials have not,’ we read, ‘identified the target of the operation, but one said it “was aimed at capturing a high-value al-Shabab terrorist leader.” The official also said no U.S. personnel were injured or killed. Reports of the results of the raid in Somalia have been mixed, with the U.S. official only saying that the SEALs inflicted some al-Shabab casualties.’. Possibly al Qaeda was starting to lose its shock appeal, so we needed a new mysterious Arabian terrorist group to scare us. Anyway, it’s heartening to learn that there were no US casualties, and I suppose we must also appreciate that this time at least, real US soldiers actually fronted up to do their nation’s dirty work, rather than taking the guys out with rockets guided by a pilotless drone somewhere up in the stratosphere. Still, you’d have to wonder how the Somalians and the Libyans feel about their police work being outsourced to the FBI, the CIA and US SEALs. I well remember the indignation of my fellow New Zealanders when the French Government took it upon themselves to blow up a Greenpeace ship and assassinate a crew member in Auckland Harbour back in 1985. But that was New Zealand, and we are one of the international good guys, at least in the eyes of the small fraction of the world’s population who know where we are. Luckily, those are the ones who count, so we enjoy a pretty easy ride in terms of criticism on the world stage. Not so Turkey. The self-appointed custodians of world morality at Amnesty International have issued another report condemning the government of Turkey for ‘gross human rights violations’during the so-called ‘Gezi Park protests’ in June and July. The report places a good deal of emphasis on the peacefulness of the protests, and the Turkish government’s denial of the right to protest peacefully. It also mentions the ‘alleged violent acts committed by protesters’ and dismisses reference to these by Turkish authorities. Another criticism is ‘impunity for police abuse’. The report asserts that ‘although the abusive use of force by police has been widely documented, the likelihood of those responsible being brought to justice remains remote’. I don’t wish to get embroiled in a discussion of these protests yet again. The government has admitted that police handling of the demonstrations was unduly heavy-handed. Contrary to the AI claim, however, action has already been taken against some police officers, and hearings are continuing into others. In my view there is no question of ‘alleged’ violent acts by protesters. I saw and photographed burnt out buses, police vehicles and private cars, obscene graffiti and paving stones torn up to use as ammunition against police officers trying to maintain order. Political demonstrations in Turkey are rarely peaceful. Ever since I came to the country I have seen violent running battles between anarchist youths and police officers a regular occurrence in Istanbul and elsewhere. The difference with the Gezi protests was that there were well-heeled members of the ‘respectable’ Istanbul middle classes taking part, and they were caught up in events totally new to them. At my first football match in Turkey I was somewhat surprised to see the pitch surrounded by police armed with automatic weapons. They showed remarkable discipline, I thought, in watching the crowd the whole time, resisting what must have been a strong inclination to sneak a peek at the on-field action. Two weekends ago, a match between two big Istanbul clubs turned into a major riot and was called off as Beşiktaş supporters invaded the pitch, throwing chairs and anything else they could lay their hands on at police and security personnel. Many of these football ‘fans’ had been involved in the Gezi Park protests (which took place during the summer off-season). One of the slogans of the fanatic Beşiktaşsupporters club known as Çarşı is ‘Çarşı herşeye karşı’ – meaning ‘We are against everything!’ Well, go ahead, say I – but don’t cry if you get a faceful of tear gas or pepper spray. Interestingly, after that football riot, police carried out raids and took a number of people into custody, one of whom was the head honcho of the Çarşı group, Alen Markaryan. At the risk of sounding prejudiced, that looks very much like an Armenian name to me. I hope he doesn’t have a secret agenda. From time to time solicitous emails arrive from my countrymen in the NZ Embassy in Ankara warning me about the dangers of being in Turkey. One of their pieces of advice is always to give political demonstrations a wide berth – and I do. One thing that seemed to be missing from Amnesty International’s worthy attack on gross human rights abuses was any mention of what’s been going on recently in Qatar. As you probably know, Qatar is a tiny Arab emirate on the Persian Gulf set to host the FIFA World Cup in 2022. Its citizens showed little inclination to get involved in Arab Spring protests, despite being ruled by an authoritarian hereditary regime, possibly because they have the highest per capita GDP in the world, as a by-product of the country’s vast oil and natural gas reserves. Sadly, the capitato which the oil riches are distributed make up only 15% of Qatar’s two million population. The rest are foreign nationals, the majority of whom are migrant workers making up 94% of the workforce. A recent article in the Guardian reported that labourers working on construction projects in Qatar, many of them related to the football World Cup, are housed in sub-human conditions, have their passports confiscated, and are treated pretty much like slaves. The largest single group are Nepalese who have been dying at the rate of one a day from heart attacks and workplace accidents. The heart attacks, it seems, are caused by having to work in the ferocious heat of the Qatari desert where the average daytime temperature high exceeds 50°C (120°F). Needless to say there is some concern among football-playing nations with more congenial climates that their players may also be candidates for cardiac arrest if the tournament goes ahead in Qatar. So how did a miniscule Arab emirate with a native population of around 250,000 manage to land the largest sporting event in the world, when Turkey, with a well-balanced, dynamic economy, 75 million fanatical football supporters most of whom are gainfully employed in their own country, much of the infrastructure already in place, and a delightfully hospitable climate, has been bidding in vain to host the Olympic games for the past twenty years? Well, one possibility is bribery. Serious allegations have been made against members of the FIFA Executive Committee, and an investigation is ongoing. It is still possible that a re-vote will be taken and the football World Cup held somewhere else. Another possibility is high-level political interference, given that ‘Qatar has built intimate military ties with the United States, and is now the location of U.S. Central Command’s Forward Headquarters and the Combined Air Operations Center.’The US is also ‘the major equipment supplier for Qatar’s oil and gas industry’, and European and Japanese firms are heavily involved in industrial joint ventures in the country. Another thing that Turkey is criticised for these days is its foreign policy which, so we are told, is confused and in need of serious reassessment. Undoubtedly the ‘zero problems with neighbours’ strategy suffered in the aftermath of the Arab Spring. Does that mean they shouldn’t try? Who could have foreseen the three-year civil war in Syria, or that a military-led counterrevolution in Egypt would be tolerated by an unholy alliance of Islamic neighbours and Western democracies? Turkey has to live with these neighbours just across the fence and cannot ignore the results of the violence convulsing them. There are now at least half a million refugees from the Syrian conflict in Turkey – and no longer only in camps near the border. 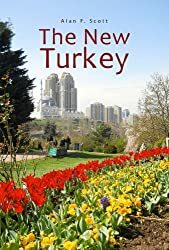 Tens of thousands have, in their desperation, made their way to Ankara and Istanbul where they are huddled in city parks fearfully awaiting the onset of winter. The cost to the Turkish taxpayer was recently assessed at $2 billion. As for Egypt, who actually believes the mealy-mouthed apologists asserting that the military coup was in response to the wishes of the people? The oppressive 29-year dictatorship of Hosni Mubarak, supported, financed and armed by the United States, was overthrown by a popular revolt with participants risking life and limb for their human rights. Of course a democratically elected alternative would be Islamic to some extent – just as Americans, God bless them, tend to elect Presidents with Christian sympathies. What is ironic is the support given by Muslim extremist, terrorist-supporting Saudi Arabia to Egypt’s anti-Islamic military; and their being on the same side as Israel! What’s the common factor here I wonder? This entry was posted in Arab Spring, Egypt, Gezi Park protests, human rights, Middle East, military coup, Muslim, New Zealand, Saudi Arabia, Turkey's foreign policy, USA. Bookmark the permalink.